Emergency Plumbing & Solar is your source for Honolulu plumbing and hot water heater installation—but did you know that we also tackle bathroom renovations? Our experienced team can help you build a bathroom with sound plumbing and beautiful design that meets your needs and your budget. However, it’s up to you to have a bathroom vision—to come up with the design aspects and proper fixtures—to make a bathroom that you’ll love for years to come. 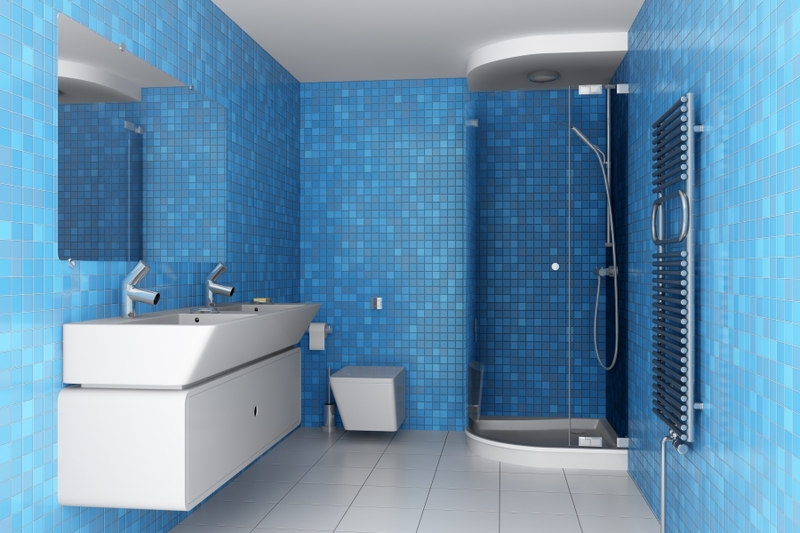 In this blog, our plumbing and bathroom remodel team will give you a blueprint for bathroom remodel success. Follow these steps, and enlist our team for your remodel, and you’ll end up with the bathroom of your dreams. The best bathrooms have a cohesive look and feel, and speak to the style and personality of the homeowner. But how do homeowners (who aren’t professional bathroom designers) accomplish this? Ultimately, it’s all about taking inspiration for your bathroom wherever you can find it, and piece together finishes, flooring, and appliances that you know you’ll love for years to come. If you don’t like your bathroom, then what’s the point? Some people like to thumb through design books and magazines to find the look they desire, making a collage of bathroom photos that will be the blueprint for their overall bathroom aesthetic. But for the tech savvy folks out there, Pinterest accomplishes the same goal with less papercuts and more bathroom ideas. Search “modern bathrooms” or “rustic bathrooms” to get thousands of bathroom designs, and pin them to your Pinterest boards to save the ideas for later. You can even pull up Pinterest on your phone while you’re at the bathroom design center or hardware store to help you find the supplies you’re looking for. Just be careful—when you’re on Pinterest, hours can fly by before you know it. So you’ve found some design inspiration for your bathroom space. That’s great! Now it’s time to come back to reality. If you’re going to have a successful bathroom renovation that meets your expectations, you need to create a budget and stick to it—otherwise, you’ll be left with a bathroom that causes financial strain at the best, and is incomplete at the worst. There’s a good chance a lot of the design items you see on Pinterest will be out of your price range—but all is not lost. Make a list of bathroom items that are “must-haves”—that amazing clawfoot tub or those granite countertops—and plug them into your budget. Then, find cheaper look-a-likes for some of those items you can’t quite afford. You’ll still get a look that’s similar to what you desire, you won’t miss out on the items that will make you happy, and you’ll still stay right on budget. You know that feeling when you forget one thing you absolutely needed to buy at the grocery store? Multiply that feeling by 10, and you’ll get what it’s like to overlook a crucial component of your bathroom renovation. You’re probably not going to forget the toilet or the sink, but you might forget less obvious items, like a backsplash for the sink, a showerhead, or towel racks. Forget some of these items, and they might not be available when you need them, which could put your bathroom remodel well behind schedule. Before you buy anything for your new bathroom, you must make a list and check it twice. Walk in your current bathroom and take a look at the fixtures currently in place—this will give you a better idea of what you need for your space. Next, think about the things that bother you about your current bathroom. Are you lacking storage for all of your beauty products? Is your towel rack too short for all of the towels you need to hang on it? Trust the right plumbing team. Beautiful design is only half of the bathroom picture—it takes quality plumbing to keep your bathroom running at its best. That’s where Emergency Plumbing & Solar can help. With decades of experience in plumbing installations and bathroom renovations, your bathroom will be as strong and sturdy as it is beautiful. Don’t wait—schedule a consultation with us today! Your Bathroom Reonvation Checklist Overall rating: 5 out of 5 based on 10 reviews.